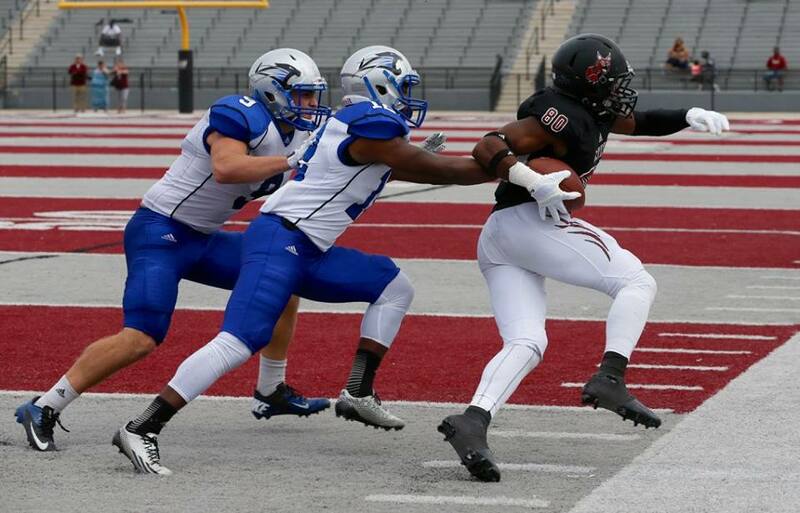 BELLEVILLE, Ill. – For much of the afternoon Saturday, the Lindenwood-Belleville Lynx might as well have been the Missing Lynx because they were rarely spotted in a 74-13 loss to the NAIA No. 14 Saint Francis (IN) Cougars. Saint Francis rolled up 729 yards of total offense in the win with 445 of that coming through the air compared to 195 yards for the Lynx. In all, they outgained the Lynx by 445 yards led by sophomore quarterback Nick Ferrer’s 21-of-33 effort for 388 yards and three scores. Tirone Young, meanwhile, led the Cougars with 125 yards rushing on just five carries for an average of 25.0 yards per attempt. He scored two touchdowns including an electrifying 73-yarder that pretty much summed up the day for the two teams.